5/8 in x 2 ft x 2 ft Armstrong Dune 15/16 in Angled Tegular Humiguard Panel - 1774 at Cowtown Materials, Inc. 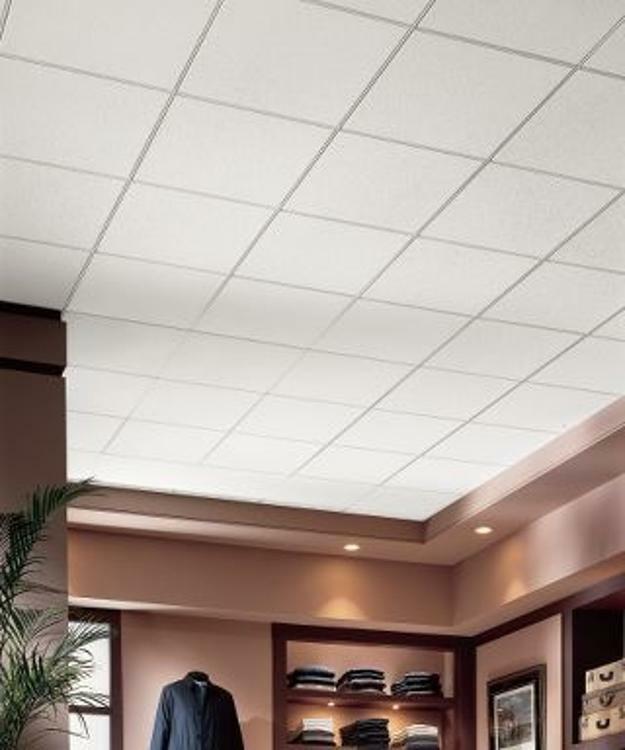 Dune provides a fine-textured, non-directional visual with standard acoustical absorption. High Recycled Content (HRC) items contain high post consumer recycled content from the Armstrong Ceiling Recycling Program. Second Look items are available. FireGuard items are available for use in UL assemblies. Second Look items Most Dune panels offer HumiGuard+ no sag performance, scratch-resistance, are resistant to surface growth of mold and mildew and can be recycled at the end of their usable life. Dune panels are compatible with standard suspension system and Axiom perimeter trim items.